A few years of musical training early in life improves how the brain processes sound, and the benefits of early exposure to music education last well into adulthood, years after the training has ceased. Daily care and maintenance of your instrument is very important to how well your instrument performs. Watch this quick video below for a few, quick tips on caring for your euphonium. Children from “arts-rich” public schools score higher on expression, risk-taking, creativity-imagination, cooperative learning, and academic self-concept than children in “arts poor” systems. Teens believe music helps adolescents release or control emotions and helps coping with difficult situations such as peer pressure, substance abuse, pressures of study and family, the dynamics of friendships and social life, and the pain of loss or abuse. My name is John Rihani and I would like to take this opportunity to tell you why I am so excited about Encore Orchestral Strings. I can still clearly remember buying my first good cello with my parents when I lived in North Carolina. It was an exciting, thrilling, scary, and confusing experience. There were so many choices, so much conflicting information, and so many opinions. 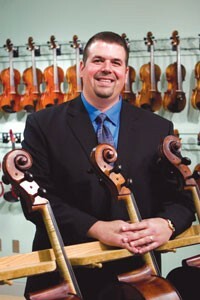 We were lucky to receive good advice from a shop we trusted and purchased a wonderful instrument. Encore exists so that the process of choosing an instrument is relaxed, enjoyable, and fun. When you come to Encore and talk to me you can be sure you are getting honest information from someone that’s been in your position before. 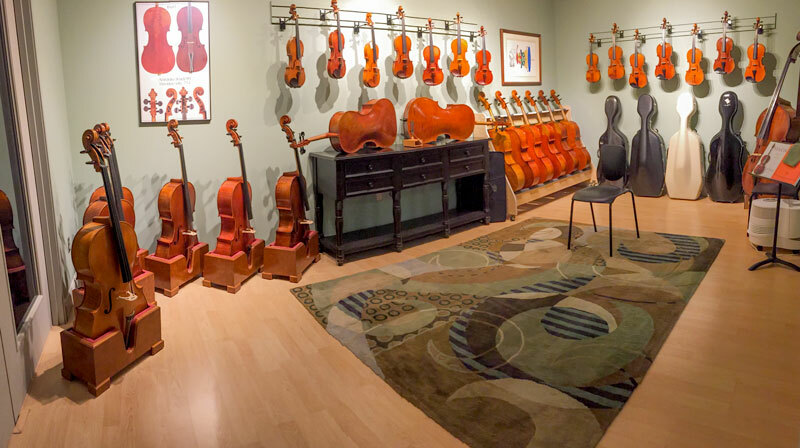 The main room is where we showcase our intermediate and advanced instruments as well as bows, cases, and accessories. From the relaxed seating area to instrument displays, everything has been thoughtfully considered with you in mind. We have many instruments at each price point so that a thorough comparison can be made before purchasing. The main showroom is also the home of our Encore rental program. 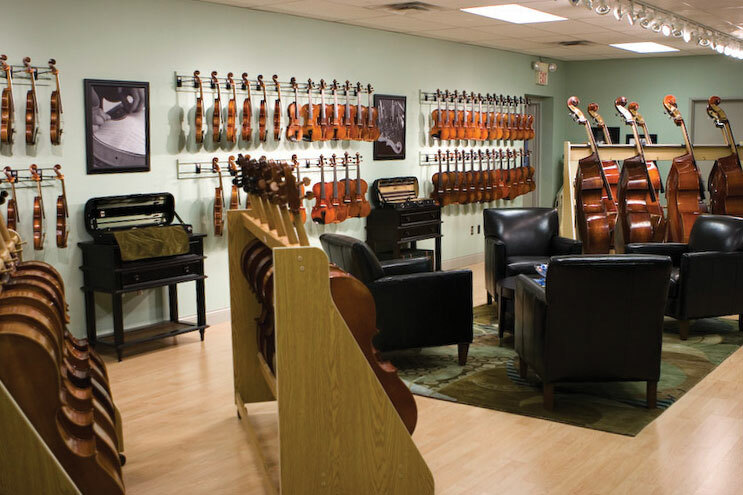 With the exception of some levels of electric instruments, every instrument in the main showroom is available on a rent-to-own basis. From rosin to rockstops, you will find all the string accessories you need as well as a few you might not have seen before. The Studio, or “small room”, is the home for our most finely crafted instruments. 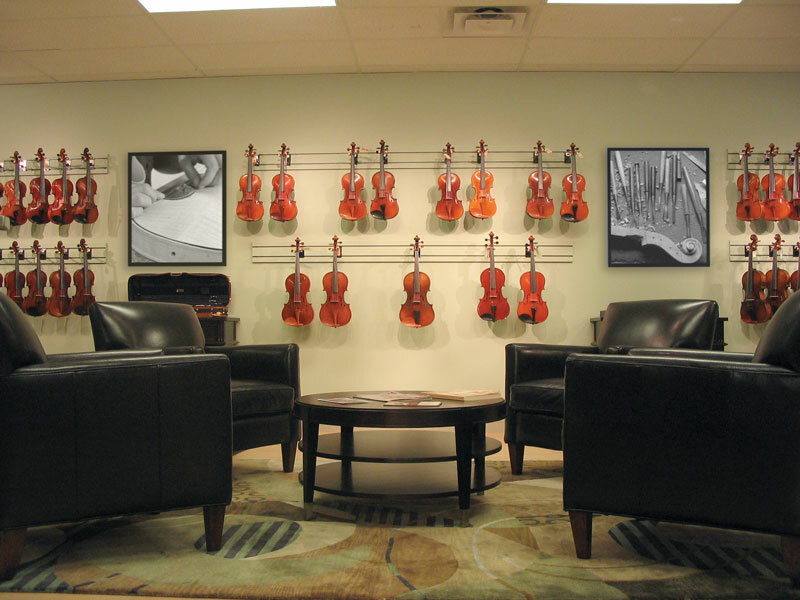 In this room you will find instruments suitable for the most advanced students and, including students either in or preparing for college music programs. This room is also the home of some of the finest modern instruments available – Lawrence Wilke, David Folland, William Whedbee, Kurt Widenhouse, and others. The studio also serves as our instrument audition space. Very few students, regardless of level, enjoy feeling like they are on display while playing unfamiliar instruments. This space can be closed off for privacy and includes comfortable chairs for parents and teachers to evaluate the sound of each instrument. It is truly thrilling to see the reaction when a student finds the instrument that is a perfect match! Encore is committed to serving our customers from when they play their first notes to when they win a professional audition. To help emphasize Encore’s commitment to making the purchase of an instrument fun and stress-free, we are offering 100% trade-in value on instruments bought at Encore when purchasing a more advanced instrument. The instrument being traded is evaluated and a small refurbishment fee applies, so be sure to talk to John about this service at Encore. As Encore approaches its 10-year anniversary, we are proud of the reputation for integrity, honesty, and friendliness we’ve earned through our service to our customers. I invite you to visit and experience Encore for yourself!